I hear they are going to move to cerritos or somewhere in glendale, according to one of the store branches. I wil wait for that in the meantime. Does anyone know where Manila Sunset is right now? I drove all the way from Riverside and found Manila Sunset was gone! Is there anywhere else that anyone knows of that I can go to in my area? I will truly miss their pancit palabok! Is there a Manila Sunset in the San Fernando Valley? What else is on their menu? I know there's one on Nogales in West Covina. Really good Pancit Malabon there. I'm always tempted to try something new but the pancit is too good for me to pass up. 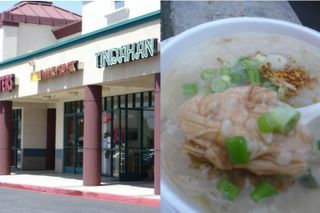 There is a New Filipino food place in Huntington Beach that is pretty good. It's called Cabalen Grill and it is at 6441 McFadden Avenue.